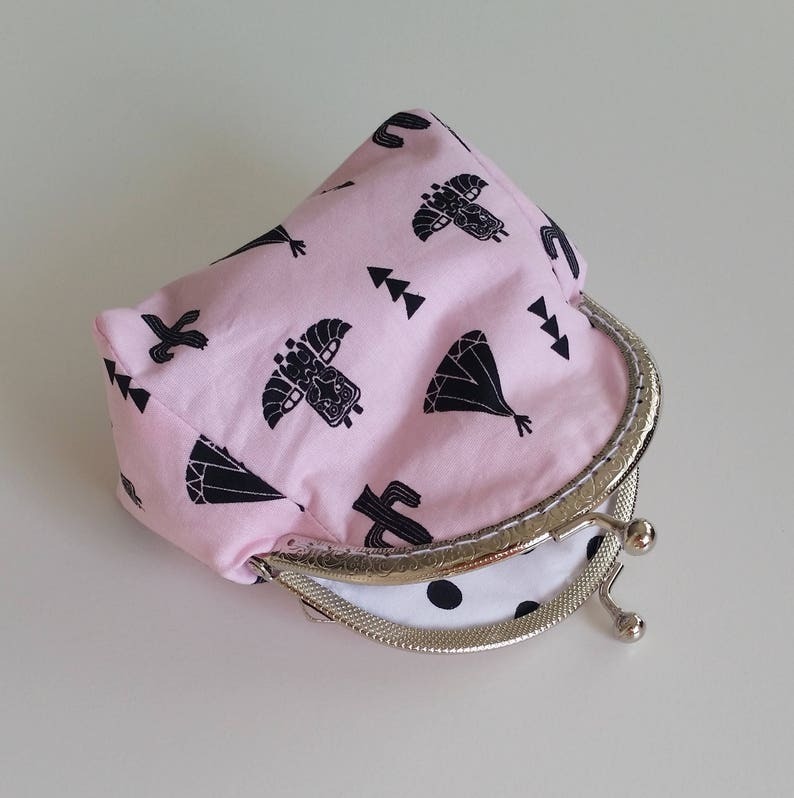 This lovely coin purse has so many uses! Obviously coins, cards, lipstick and keys, but you can also put your medicines in it while traveling or your earrings and rings. It can be used for many purposes! It is made of designer fabric and fully lined with a matching fabric.